Eugène Mihaesco’s art is brutally honest. He is an intellectual. But he also has a softer side, which one sees in his oil paintings, particularly his landscapes and paintings of flowers, and a lovely bowls of fruit. Or, in the witty and delightful covers for The New Yorker. When I met Eugène, it was in the Art Department of Time magazine circa 1982 when Rudy Hoglund was at the helm. Eugène produced over 15 covers and innumerable illustrations for Time in the 1980s. (Interesting, there are many Time covers he created that are apropos today). 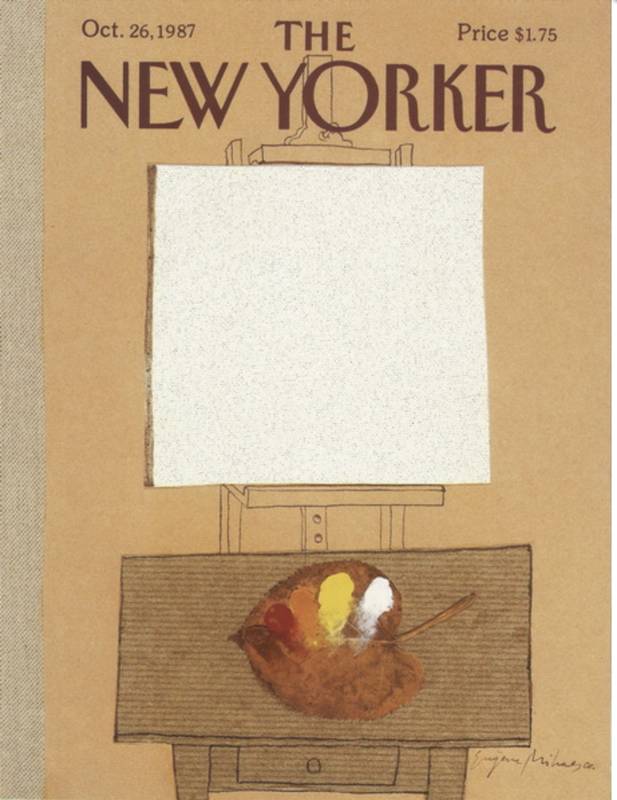 He also has painted over 3 dozen covers for The New Yorker. Eugène was kind, and intense, and intelligent, and laser-focused on his art. Both Time and New Yorker remain among the most coveted illustration jobs to this day. Here below are some of my favorite works of his.